P.T. Geach has maintained (see, e.g., Geach (1967/1968)) that identity (as well as dissimilarity) is always relative to a general term. According to him, the notion of absolute identity has to be abandoned and replaced by a multiplicity of relative identity relations for which Leibniz’s Law – which says that if two objects are identical they have the same properties – does not hold. For Geach relative identity is at least as good as Frege’s cardinality thesis – which he takes to be strictly connected with relative identity – according to which an ascription of cardinality is always relative to a concept which specifies what, in any particular case, counts as a unit. The idea that there is a close connection between relative identity and Frege’s cardinality thesis has been issued again quite recently by Alston and Bennett in (1984). In their opinion, Frege’s cardinality thesis is not only similar to relative identity – as Geach maintains – but it implies it. Moreover, they agree with Geach in claiming that a commitment to Frege’s cardinality thesis forces a parallel commitment to relative identity. 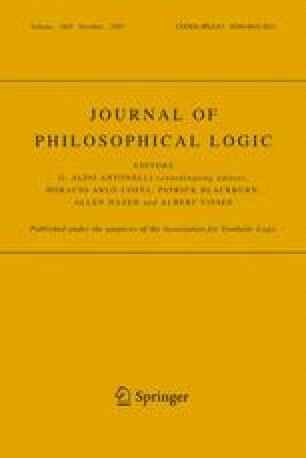 Against Geach, Alston and Bennett we will claim that (T1): «Frege’s cardinality thesis is similar to relative identity» is false and that therefore (T2) «Frege’s cardinality thesis implies relative identity» is false as well.